The EERC’s Britsports series looks set for a bumper year, with massive interest from the growing number of UK prototype manufacturers, and a raft of continental machines joining the fray, thanks to the efforts of series co-ordinator John Veness. The Pedrazza Racing Cars marque has been active in the central-European SCC of late, and now father and son duo Steve and Will Hodges are set to campaign one of the two examples that are likely to be seen in Britsports this season. Father Steve Hodges is CEO of IT company R & R, and son Will is a director of the company, so the car is being finished in what they call “R & R blue”, and will feature signage for main sponsor www.datarecovered.com (which is also the name of the team), and several other names from the IT arena, which are still under negotiation. 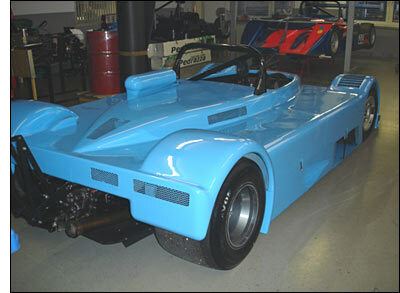 The car, the rear half of which is based on a Lola F3000 single seater, is powered by a 3.2 litre BMW M3 engine, developing 430 bhp, and weighs in at 630kg. “It’s very reliable,” says Hodges Snr. Steve, 51, and 24-year old Will, passed their ARDS tests together in 1998, and both raced in Caterhams for four years. “We always qualified within two-tenths of each other, but races were marred by us crashing into each other,” says Steve. “But it was a competitive environment, and good experience in racecraft and control,” adds Will. 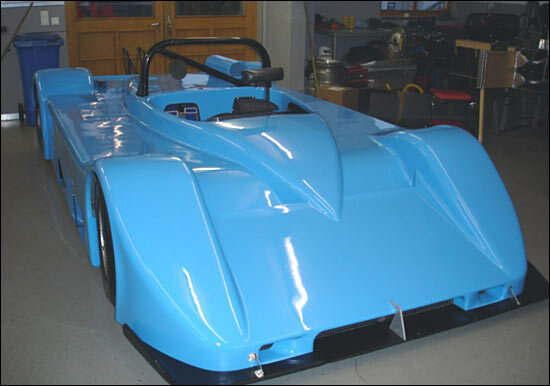 The pair ran a Radical Prosport in Britsports last season, and Steve also took in the Orwell Supersports Cup, in a Chevron B19. “A new drive for the Orwell is yet to be determined, but hopefully it will be a big block McLaren 8F,” he says. A further PRC is likely on the Britsports grid, as Mirco Schultis will be bringing his Honda-engined example to selected rounds.